A Glimpse of Blue : BAM! Long time, no see! Gotta love the craziness of the beginning of the school year. These last few weeks have just been hectic. I was sick with a nasty virus for a week, then I was in Belleville helping my mum help my Grandpa who's currently in the hospital. Then my songwriting class that I'm teaching started up. You get the gist. I could write a completely random post right now, with tons of little stories of life and completely unrelated thoughts that would probably make no sense, but I decided to have pity on your brains and not confuse you to death. Go me! 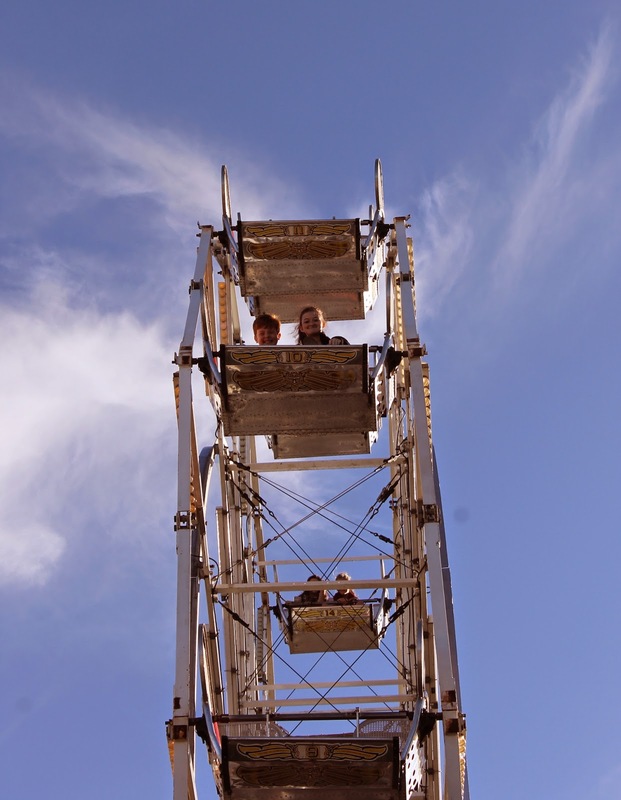 Instead, I'm going to do a posting on the fall fair I went to just a little while back. And get this... they had a demolition derby. It was so cool and my brother may have been just a little bit scared of me. I may or may not have gotten really into it and started yelling at the drivers... oops. So without further rambling, enjoy the pictures! ever. It looked like one of those fluffy pillows with a beak. one of the cars they destroyed later that afternoon. comic books, I know all the words). OOOH! Look at the air that one car got! and I'm cool and there's nothing you can do about it. myself to name it Michael Clifford. You're welcome. I really like this picture. It just feels so small towny and cute. so cute in my fall fair picture. around to where he was standing, he'd take a picture. I only just now realized that you guys have never actually seen a picture of my face, haha. Here I am thinking, "Yeah, they all know what I look like," but you don't. Unless you're creepy and stalked me and somehow found my house and therefore know what I look like. Or you actually know me outside of the interweb. Do you guys want a picture of my face? I can call it...(dramatic pause)... "The Reveal" DUN DUN DUNNNNNNNN. Thanks! :) Are you a photographer? Me too but it doesn't look like he will be. :P They're looking at moving him to a long term care home. I know! I have a class of eight students and it's so much fun to share my passions with other people. 1. Michael Clifford is the greatest name for that sheep, I can truly see the resemblance. 1. I know eh?? ;) All we need to do is dye its wool! 2. HJKHSGDHLGSAHDGHJKDG MY COMPETITION STILL ISN'T UP YET!!! Are you gonna enter?? Lovely photos Sarah. I hope your Grandpa gets better soon! Hi Sarah! 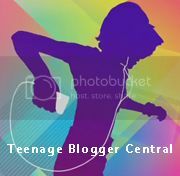 I'm Catalina Blue, a greeter from TBC (Teenage Blogger Central). You registered yourself on this blog directory in February! I'm glad to see you're still blogging! Your posts are amazing and I found the pictures beautiful and captivating! I was wondering if you could help us out here. TBC exists for young bloggers to get traffic and find new blogs to follow. It would be fantastic if you could go to this link and grab a link button for yourself so we could spread the word and have more lovely people joining the blogger directory!